What material should I use or get when I want to make clothing labels for by clothing line or sewing projects? That is a question that every manufacturer has to at some point ponder. There are few different kinds of material that are used to make clothing labels, there are: care labels, hot knife labels, woven labels, thermal printed labels, stitched. If it is tough to choose what is right for your business. 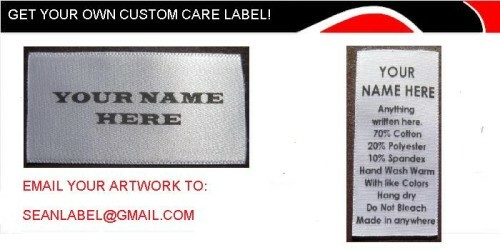 If you are looking for the most professional look, I would save woven labels are the way to go.